Maryland Gov. Larry Hogan announced a $229.6 million plan to ease traffic congestion along Interstate 270 and local roads in Montgomery County, a welcome proposal for the hundreds of thousands of drivers using the extremely busy roadway. However, $100 million of that money isn’t dedicated to any project. Maryland transportation officials are going outside the box and are looking for ideas for reducing traffic along I-270. From Interstate 70 in Frederick to the beltway split in Montgomery County, I-270 carries a notorious connotation with its heavy volume of travelers. "You know, we are standing right here along Maryland's most congested highway," said Pete Rahn, Maryland Secretary of Transportation. The I-270 Innovative Congestion Management project hopes to gather ideas to reduce congestion and delays along the corridor in Montgomery and Frederick counties. “We are putting up $100 million to try to attract the best ideas from transportation innovators and companies from all across American to come up with the best ideas,” said Hogan. “So it's not what I want to see, but it's what the best ideas are. We’ll figure that out when we get the proposals." The state hopes to hear an idea it hasn't heard before but said tolling systems, like the express lanes in Virginia, will not be considered. Some drivers said they’d be willing to shell out some money to get moving. “Well, paying versus sitting in the car, I'd rather pay and get to my destination rather than just sitting in my car in the traffic," said Adam Sani, a commuter along I-270. The rest of the money will be used to construct a new $129.6 million interchange at I-270 and Watkins Mill Road in an effort to reduce congestion on local roads and improve safety for residents and commuters. The new interchange also will provide access from I-270 to the Metropolitan Grove MARC station. The governor’s office said the 35-mile, I-270 corridor carries from 79,400 vehicles a day on the north end of I-270 to 261,200 vehicles a day near the Capital Beltway. By the year 2035, they said these volumes will increase to 107,000 to 290,000 vehicles a day. 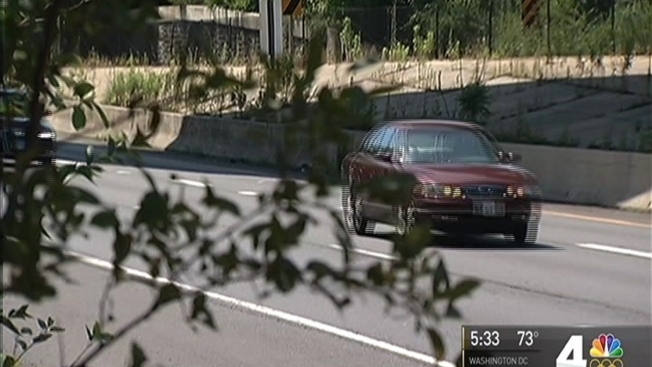 The Maryland State Highway Administration will be accepting proposals until July 25. They expect final proposals to be submitted for approval by Jan. 5, 2017.